Love is at the center of Christmas—it’s the reason behind all our gathering and gift-giving. 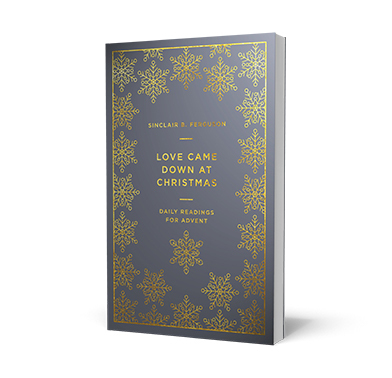 In his new Advent devotional, Love Came Down at Christmas, Dr. Sinclair Ferguson seeks to refresh our hearts as we reflect on the source of it all—love incarnate, Jesus Christ. Drawing on 1 Corinthians 13 and stories from the Gospels, this devotional shows us what love looked like in the life of Christ and challenges us to love like Him. Each day’s reading concludes with a reflection and a prayer to remind us of the glorious truth that love came down and dwelt among us.